Why does the dachshund have a long body? The droopy-eared dachshund (pronounced DAHKS hoont) is so long and low that it is often jokingly called a sausage dog—half-a-dog high and two dogs long. The dachshund’s low-slung shape was developed long ago in German for “badger hound.” Tracking badgers and then wiggling into their dens to draw them out was its business. 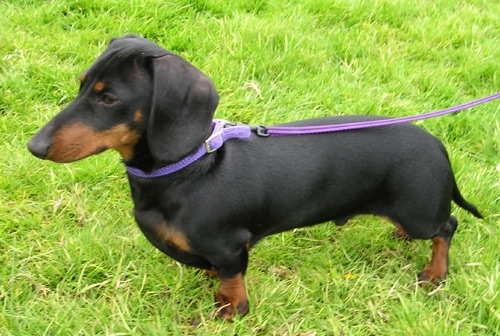 A long body and short, sturdy legs, with feet well suited for digging, made the dachshund ideal for this job. Smaller-sized dachshunds were used for digging rabbits out of their burrows. The original dachshund from Germany was smooth-haired.